A historical walking trail through the remains of the Jupiter Creek gold diggings. 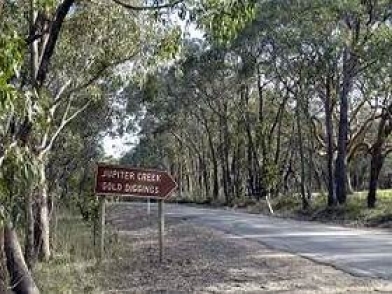 Bushwalkers can visit the old diggings at Chapel Hill and follow the sign-posted path to find some of these relics then on to Jupiter Creek to follow the heritage trail which has signposts and information boards describing successive phases of mining at the site. It includes the 1869 chimney associated with the Beatrice Gold Mining Company, 1906 sluicing dam and the 1930 New Phoenix Tunnel. The diggings are a part of the Kuitpo Forest conservation park and registered as State Heritage Items so they'll be preserved for future generations.